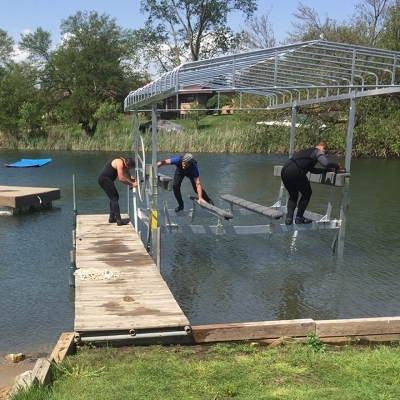 From boat lift installation to dock installation, we handle all aspects of your waterfront equipment. 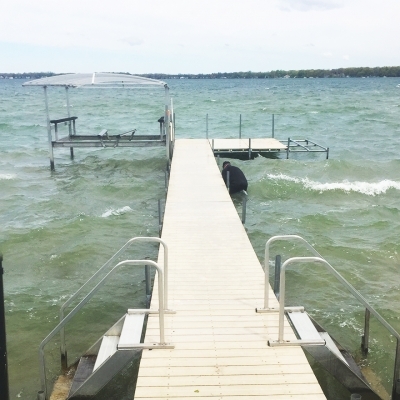 When warmer weather comes around, we know you would rather be relaxing and enjoying it, so let the pros at Docks Unlimited do the hard work for you. Summers in Michigan are meant to be spent on the water, and that’s where we want you to be. 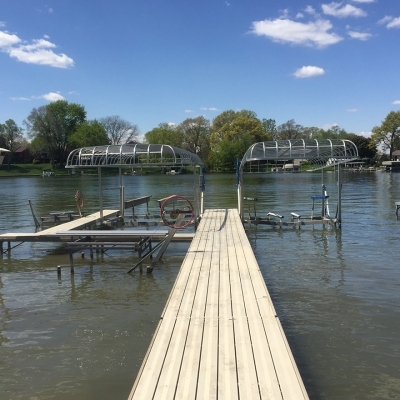 If you need help getting your lakefront ready for summertime fun, check the links below for more info, or contact us to get started right away!